Since the GET IN THE GAME hockey grant’s inaugural season, three years ago, HockeyShot and FlipGive have seen first hand the world of difference that this financial support provides for the recipients families. Affordability is a commodity hard to come by when it comes to hockey, each season seeming more and more expensive. Every year we are blown away by the sacrifices and lengths that parents are going to so that their kids can play hockey - 2016 & 2017 were no exceptions. Because of that, we are so proud to have been able to help these players last season. FlipGive and HockeyShot will teamed up for the 2018 Hockey season to help deserving players get in the game - because hockey participation should be based on ability to play, not pay. 2018 is shaping up to be another fantastic year and we are extremely proud to name the 2018 GET IN THE GAME Hockey Grant Winners. We look forward to watching them excel with the much deserved financial support. Born with a disability, McKinley’s parents were told by doctors that she would never walk, talk, or live a productive life. However, she started defying expectations early when she took her first steps. McKinley always looked up to her older sister, and when she first spotted a pair of skates she let everyone know she wanted to be wearing them as well. Once she got the hang of the skates, it was a done deal. 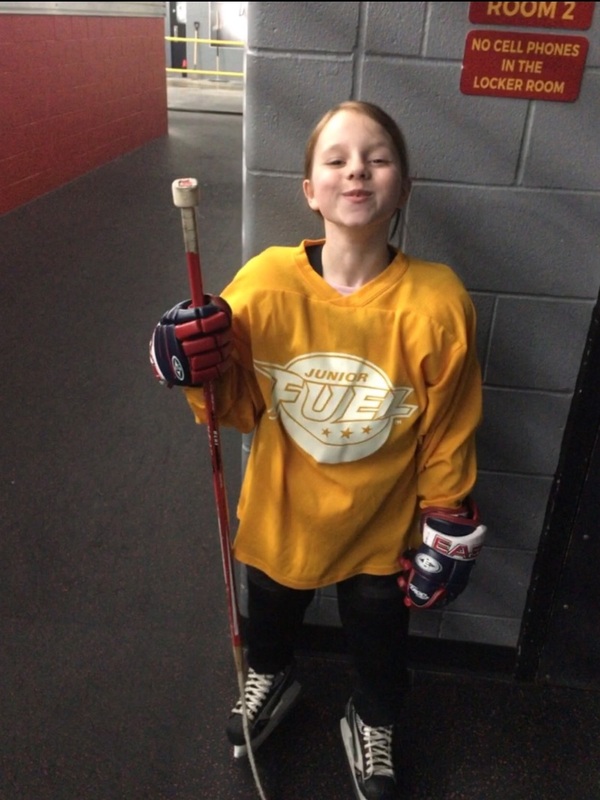 While we may not be quite as excited as McKinley at 6am on hockey day, we are super-stoked to help with her equipment costs and making sure that McKinley’s unstoppable spirit stays on the ice. Sam is a special player that understands the importance of balance in life. On the ice, Sam is an excellent player and an even better teammate. Last season he showed great compassion and understanding, sticking up for a teammate being bullied who almost quit hockey as a result. His friend, a player new to the game, has since fallen in love with the game. When he’s not playing hockey, Sam is working hard to maintain his grades, helping out around the house, and he plans to volunteer to help the younger kids on the ice. Sam’s father battles with back and GI issues that keep him from working. The Get In the Game grant is a huge help to his family, a household with 3 young players that struggle to afford paying for everyone to play hockey. “Sam’s hopes are to attend Culver (Sam understands that he will have to work very hard to earn a scholarship to attend the prestigious school) and then would like to attend Notre Dame University.” He plans to continue working hard to keep his grades up, do community service, and achieve a 98% attendance rating. A quote that Sam came up with himself, reads, “I’m not telling you it will be easy. I’m telling you it will be worth it.” We can’t wait to hear about what Sam and his siblings accomplish this season. “Harper was born into a hockey family, so it was only a matter of time before she started to play,” said Harper’s mother Amber. Hockey roots run deep in this family, with years following her brother and father as a player and a coach across the Midwest for the better part of a decade. If a game was on, she would shout along with it when the action heated up on the ice – more than once Harper would holler ‘I’ll fight that guy!’ when the gloves came off on the TV. Both on and off the ice, however, Harper’s style is quite different than that. A supportive player who knows how to make a clever play or pass, and a helpful soul who helped as much as she possibly could as her mother went through a difficult pregnancy, she’s constantly lifting up other and making sure they’re taken care of. Moving around can be stressful for a child – and moving 5 times before you turn 7 isn’t exactly the best recipe for stability. 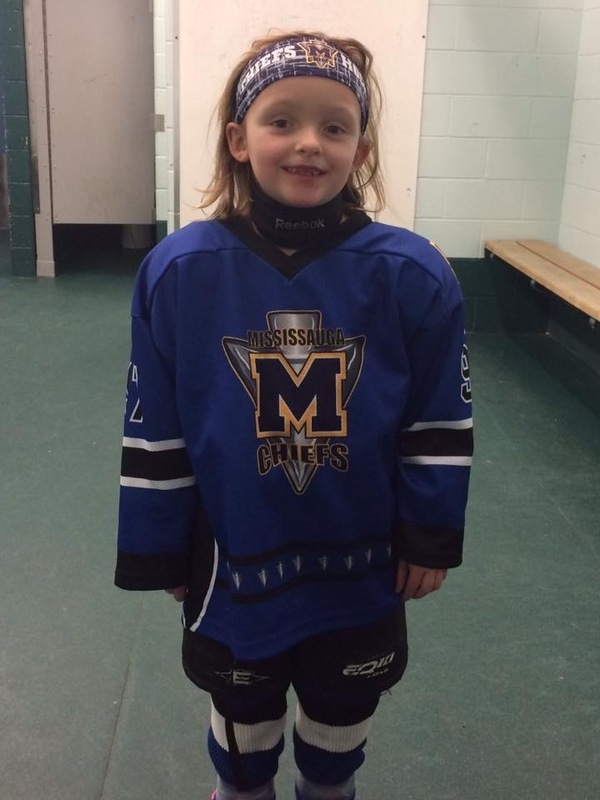 It was hockey that provided the continuity that allowed Lexie to really blossom. “Me being a single mom I am trying to have hockey be her passion,” said her mother, Jessica. “She has a spark back in her that she lost with all the instability in her life.” As an EMT who has twenty-four-hour shifts, she has to work extra hard to make sure all the games and practices work out. Luckily she part of a vibrant hockey community who is willing to help out giving lifts when needed. Dylan is an 11-year old with a huge passion for the game of hockey. 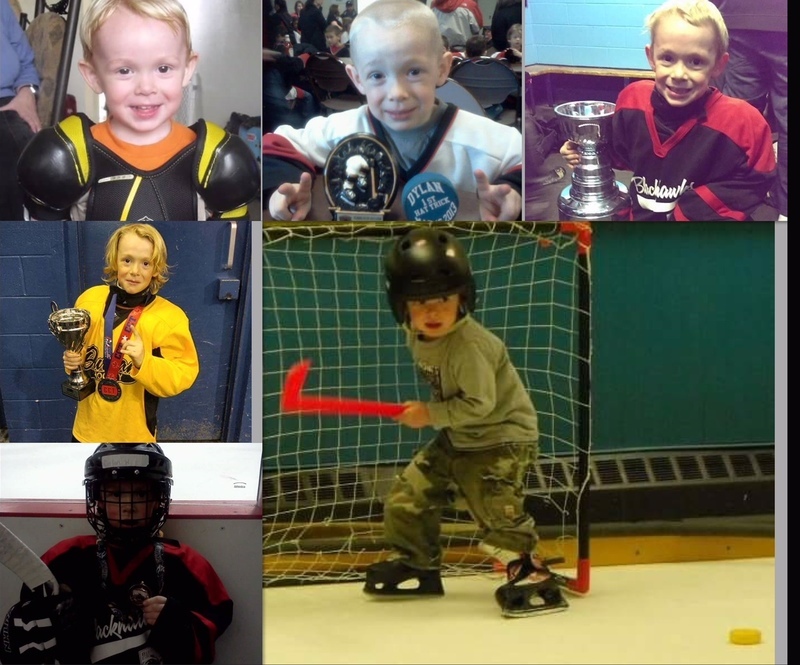 Since lacing his skates up for the first time at just three years of age, Dylan has grown significantly, not only as a hockey player, but as a remarkable young man. 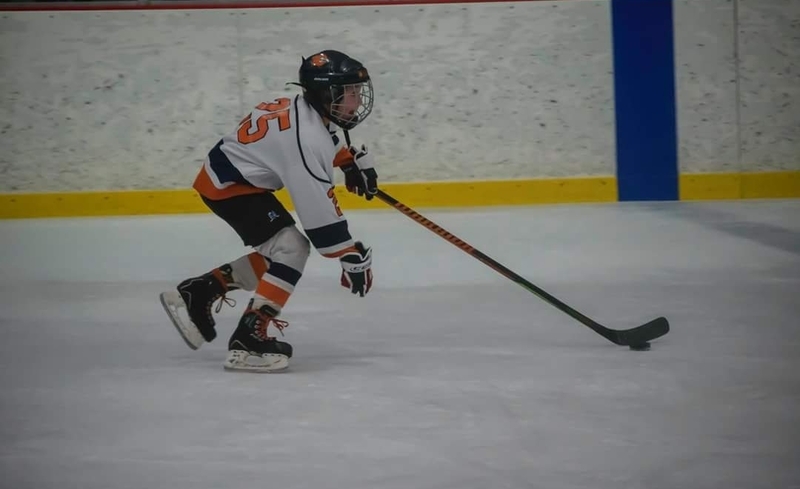 As one of seven children, Dylan and his family know all too well the financial strain that hockey season causes - at least five of the six boys play rep-level hockey! “The grant will help pay for the upcoming season’s fees for Dylan and his brothers and allow them to play the sport they love and are deserving to play.” Dylan is a humble player, one that values hard work and always leaves everything on the ice. Those that know Dylan say, “the game means more than just fun to Dylan. It has taught him many life lessons. It’s taught him to always give his best effort, to work together as a team, and to be committed and responsible.” Dylan is integral player for the Ajax Knights and this grant will help keep him playing alongside his teammates and friends this coming season. Josiah, a 13 year old player from Naples, Florida, is an energetic kid with a love for the game as strong as anyone you’ll meet. Hockey has become an outlet for Josiah to channel his energy and strong personality. 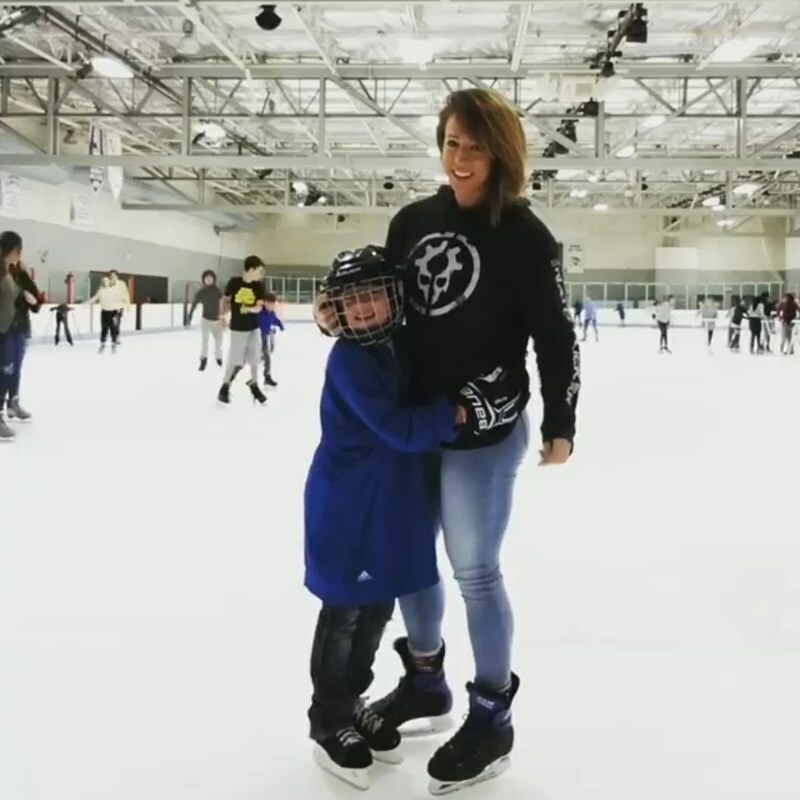 Josiah’s mom says, as a single mother, that financial aid is hard to come by, especially when it comes to paying for registration fees, equipment, and all of other costs associated with hockey. The grant will be used to help Josiah and his sister, Maggie, who he wants to share his grant with, keep playing hockey. The FishAbility Sports Club was founded in June 2008, originally, as a fishing club for children, youth, and adults with disabilities. The club’s aim is to break down barriers and make the impossible, possible. 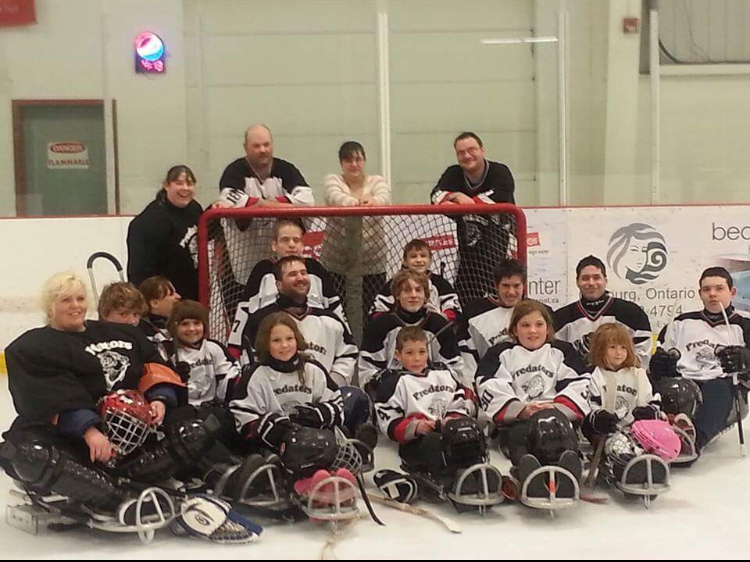 Following the club’s inaugural year, in June of 2009, the Northumberland Predators Sledge Hockey Team was formed. Based in Trenton, Ontario, the team plays out of the Bewdley Community Center (formerly known as The Vincent Massey Memorial Arena) and is completely volunteer run. This team has allowed children and adults with intellectual and physical disabilities an opportunity to play hockey. Without help from the community, the team wouldn’t be where it is today. The Predators plays their games between September and April in the Ontario Sledge Hockey Association League. Each season, the team travels to London & Brampton for various tournaments. Most notably, the 2010/2011 season is still remembered as the Predators best season yet. The Predators capped off a strong showing in the London Tournament, falling just short of making the semi finals for their first time, by finishing the regular season strong in 2nd place! With a 7-2-1 record, the Predators cruised into playoffs with home ice advantage and carried that momentum all the way to OSHAL Championship Game in Oakville Ontario. The Championship was an extremely tight and spirited affair played at the Sixteen Mile Sports Complex. After the end of regulation time, the score remained tied 0-0 and we were off to a five minute 3-on-3 overtime! With overtime settling nothing, a shootout was needed to decide the 2011 Championship. After a fierce battle, it was the Northumberland Predators sinking the Peterborough Patriots in a thrilling final game and capturing their first title. Hockey has given the Predators players, children and adults alike, confidence and the chance to play a sport that they couldn’t normally. The sledges they use to play games are made available to youth so they can skating more often with their families and friends. With the Get In The Game Grant, $1,000 will be used to purchase more equipement, everything including sledges, sticks, helmets, and protective gear. FlipGive and HockeyShot are so proud to be able to help this fantastic club and team give their community members the chance to play hockey. A small town often boasts a strong sense of community, and Canso, Nova Scotia boasts a community of 800. In the winter months, hockey is one of the only sports available to our kids. It keeps them fit and active at a time when kids are usually sluggish. The parents are quite active as well, especially when it comes to supporting the team. There’s not a lot of corporate sponsorship opportunities, but they make up for it with a strong core of fundraisers. The funding is going towards keeping the rink open, and maintaining a staple of the community that has spanned generations. The Gladiators are a close-knit team of girls that understand the importance of sacrifice and dedication. Having played together for the past few years, these girls have shared the agony of defeat and triumphs that come with winning. Those close to the team say that the camaraderie between the girls is astounding. 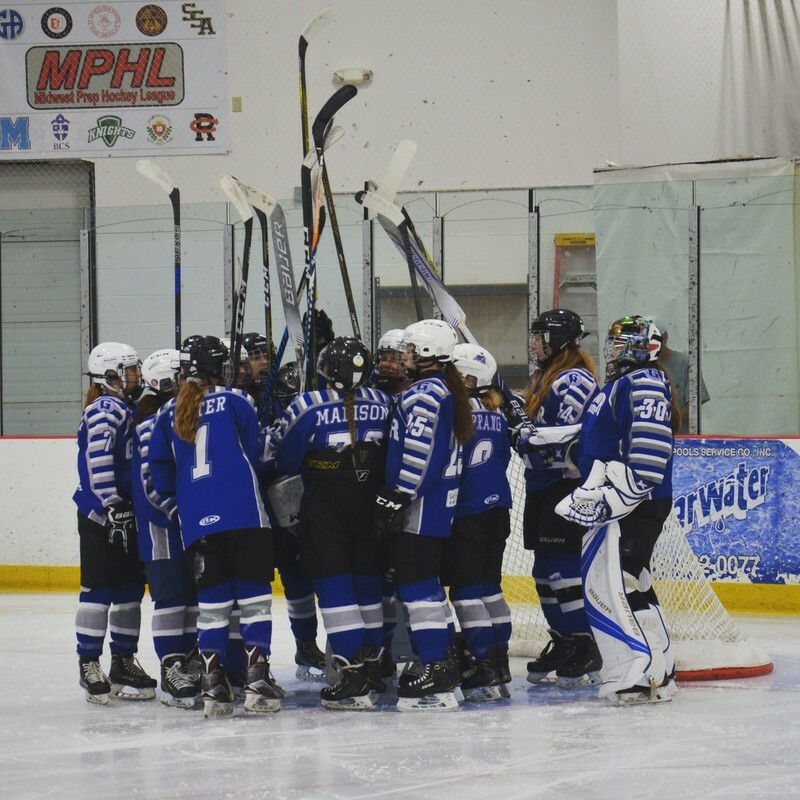 Above all, the girls have embraced what it means to be a team and understand that being a supportive teammate is the most important quality, on and off the ice. Cleveland, Ohio, isn’t what most would consider a “hockey hot-bed,” if you will. 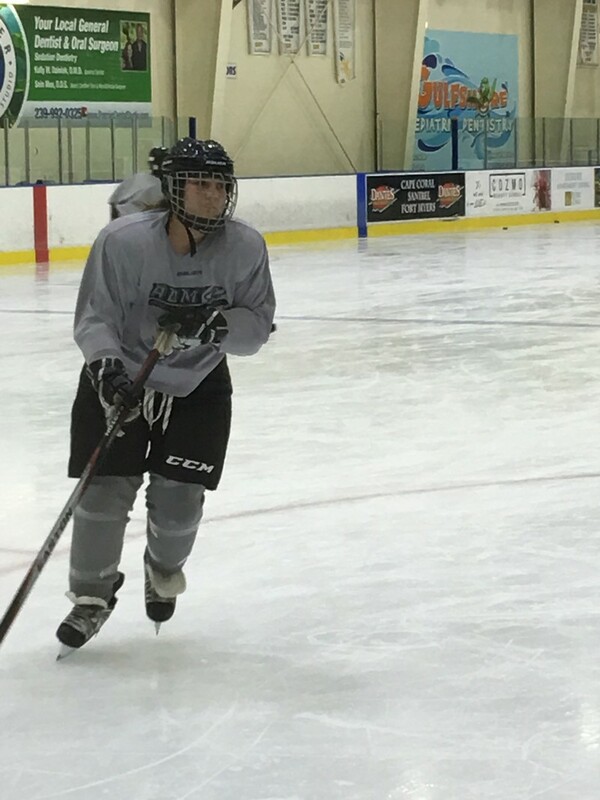 The area is home to only one girls hockey program and the team is forced to travel for games and practices. Many of the players travel around an hour and a half, each way, for weekly practices. It goes without saying, but these girls and their families have sacrificed a tremendous amount to be a part of this team. Parents pay out of their own pockets for travel, tournaments, jerseys, hotels, etc. Playing in a competitive league is an expensive sporting venture and the Gladiators busy schedule constantly takes them on the road. Between league play and tournaments, the girls travel about 3 weekends (or more), per month. The financial strain, oftentimes, can be too much for team parents and many sacrifices are made to help keep their daughters’ dreams alive. The Gladiators will use the Get In The Game Grant to help pay for uniforms, offset travel costs for season games and tournaments, and weekly practice ice times. With the Get In The Game Grant, we’re excited for the Gladiators upcoming season and can’t think of a more deserving team than this group of girls!